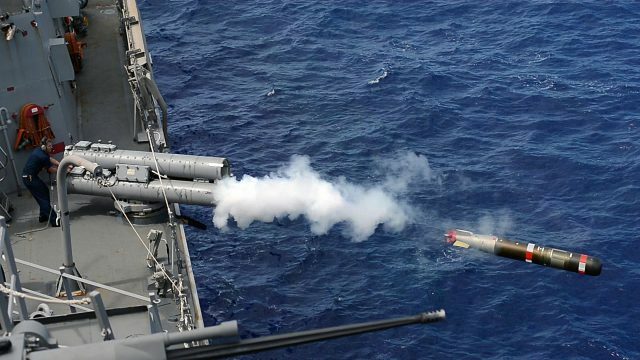 The Australian government is close to deciding which of the three big foreign companies wins the $35 billion contract to build nine antisubmarine warfare frigates for the Navy. We examine the SEA 5000 Future Frigate program’s three objectives in our new ASPI Strategic Insights paper, The next big grey thing—choosing Australia’s future frigate, written with James Mugg. We should care about the future frigate decision for two reasons. It’s important that the Navy gets the best capability to deal with the proliferating number of quiet, lethal, modern submarines in our region. But as important in a different way, who wins the project and how they work with Australian firms will define our shipbuilding industry for decades. Defence projects have always been big, but in recent years they’ve moved from being elephant-sized to whale-sized megafauna. If the future submarines program (some $50 billion in acquisition and maybe another $115 billion or so in sustainment) is the blue whale of the pack, then the future frigate program is the next biggest—the lesser-known but huge finback whale. It’s acquisition cost is some $35 billion and so its sustainment is likely to be in the order of $80 billion (according to indicative cost proportions in the government’s naval shipbuilding plan). Like megafauna, they’re also slow moving. The first frigate is expected to enter service sometime in the late 2020s—after being delivered to Defence sometime around 2027 or 2028—and the last of the nine ships will probably finish production in the early 2040s. It’s a slow program partly because 6,000–7,000‑tonne warships are complex integrated electro-mechanical devices that take time to build, but also because slow production is what the government’s new continuous build strategy proposes, so that there’s a continuous flow of work—not starts and stops that might disturb the Australian workforce. This is what a sovereign shipbuilding capability as proposed means—you get ships at the rate that keeps industry happy, not the rate that the Navy might need them to turn up. So, which ship is best, and who might provide the government with the best industrial strategy for delivering frigates on time and on budget while creating a sustainable long-term Australian shipbuilding industry? The bad news is that we can’t tell you who will win. The good news is that there are good reasons we can’t tell you. Defence has kept its evaluation of the three tenderers between it and government (as it’s meant to). Furthermore, from the information ASPI has about the three ships, all three do what the Navy wants pretty well, so there’s probably no clear winner just on capability. 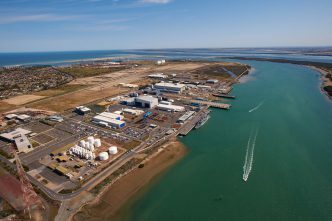 BAE may well have read the wind on Aussie industry matters and so have places in their plan for the two Aussie icons—ASC and Austal. 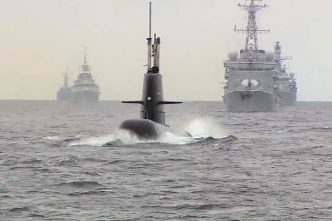 More importantly, though, when it comes to not paying the 30–40% premium that the RAND Corporation said Australian governments traditionally pay for building ships here, the Australian government has the opportunity to use its $35 billion leverage to get the Brits to give Australian firms a hefty share of all Type 26 production globally. This includes the Royal Navy’s eight‑ship program and the Canadian 15‑ship program if BAE wins that. The UK needs sales and partnerships like this one in its post-Brexit world, so the government could drive a hard bargain on intellectual property and international production. Navantia, wholly owned by the Spanish government, is building military vessels for Australia, Spain, NATO clients and potentially the Canadians—perhaps even the US Navy (if Navantia wins the 20‑ship FFG(X) program in partnership with Bath Iron Works). 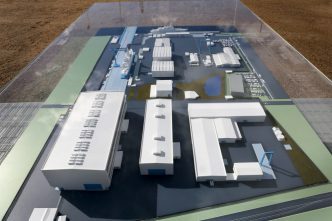 As with BAE, the Australian government has a major opportunity to open up Navantia’s global design and production supply chain to Australian firms. Australia’s decision comes ahead of both Canada’s and the US Navy’s, so a win by Navantia here would give them momentum they need. Fincantieri hasn’t built a ship here in Australia, so Australian industry and government would have to get to know that organisation and its practices. On the plus side, Fincantieri is a truly global shipbuilder, with a wide commercial and military ship market and production chain. Its frigate is in the US Navy FFG(X) competition. 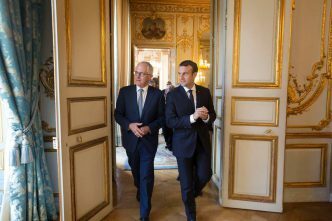 The Australian government could expect to be able to drive a deal in intellectual property and supply chain participation that sees Australian firms contributing to Fincantieri ships, whether commercial or military, across its 20‑country footprint and international market. Which will the government choose? Emotionally, the Brit option might just feel right in this nasty post-globalisation world where allies and partners who mean it are hard to come by. Its glossy brochure design is also brand new, so there’s nothing to dislike about its performance. But the entire history of complex projects shows that there are reasons to be wary of signing up to a new design with all the wrinkles, twists and problems they have. If that’s too daunting, and the government prefers low project risk and the best chance of getting a ship on budget built here in Australia, they might go with Navantia. It might also be able to drive the lowest price too. But if the government is thinking strategically about naval shipbuilding as an enterprise over decades, and thinking about what $35 billion of leverage might achieve, then they may take Fincantieri. It’s offering a hugely capable modern ship, and it also provides the widest opportunities for Australian firms to be export partners with a successful global commercial and military shipbuilding firm. If the government is ruthless in its negotiations, it might well be worth the growing pains of getting to know Fincantieri. Regardless of which ship is chosen, the members of the National Security Committee of Cabinet need to avoid treating this decision like any other defence project decision. Big project decisions in defence have historically evaluated offers against capability, schedule and cost, with the risks in each of those buckets being compared. That has to happen this time as well, but there’s also a bigger picture. The unique and difficult part of this decision comes from the unique opportunity that Australia has in spending $35 billion on nine frigates. In a world of declining Western naval fleets, that’s a huge business opportunity for the firm that wins it (and for its home country’s government). That unique leverage is the way that the Australian government can use the frigate program to create a sustainable Australian shipbuilding industry. Not by insisting on local incumbents getting a workshare. Not by focusing on Australian industry targets within the contracts. The real new opportunity here for Defence and government is to get Australian firms large chunks of the winning company’s international supply and production chains—for all the ships they build around the world. But it’s a balancing act—compromising too much on Australia’s future naval capability for a possible future industry return isn’t the smartest thing to do in troubled times. BAE Systems, Navantia and Fincantieri haven’t become successful ship exporters because they give away production work and share intellectual property beyond narrow projects. They’ll be perfectly comfortable with a decision that focuses just on the Australian ships and who the local partners are. They’ll be happy with airy words about knowledge transfer so that, in a distant future that may never eventuate, Australian builders sell whole ships internationally. They’ll be happy because all that will miss the bigger industrial opportunity Australia has to insist that Australian firms get business in the winning company’s entire international production order book starting now. Success for Australia will take ruthless leadership from ministers and equally ruthless commercial negotiation with whichever firm wins the contract. Andrew Davies lectures on intelligence and defence acquisition at the Australian National University and Michael Shoebridge is director of the defence and strategy program at ASPI. Image courtesy US Navy via Wikimedia Commons.